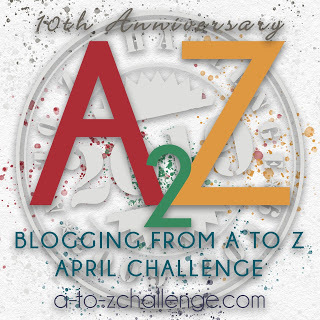 Today’s letter is I for my Inside Voice. 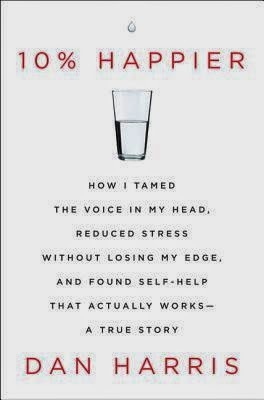 Dan Harris has been making the rounds of the talk show circuit promoting his book, “10% Happier: How I Tamed the Voice in My Head, Reduced Stress Without Losing My Edge, and Found Self-Help That Actually Works—A True Story”. I saw him on the Katie Curic show and I related to his story. I imagine that most human beings can. Our minds are never quiet, not even when we sleep. Mr. Harris, who is an anchor for the ABC news show Nightline, tells of having a nationally televised panic attack while he was in the middle of reading the news on Good Morning America. What I like about his story is that he is not promising total peace or extreme euphoria. He does recommend meditation. His approach is rational and realistic. I would like to quiet my inside voice, especially at 1:00 a.m., 3:00 a.m. and 5:a.m.
Those are the times, when it is dark and quiet, that my constant companion has the podium all to herself. She is definitely hyper active. She jumps from topic to topic. She frantically meanders down one path and then suddenly makes a hairpin turn without warning. She repeatedly asks the question “Why?” She agonizes over “What if?” She is a worrier that one. She thinks she should, knows she can’t, and doesn’t really want to. She is quite negative, that she is. She is a whisperer during the daylight hours, filling my head with dreams of “if only’s”. She speaks of sticking to a diet, exercising every single day and drinking plenty of water. She warns me to stay away from sugar and reminds me to eat my vegetables. Guilt is her most viscous weapon. Just once, though, I wish she would give me a pat on the back and tell me how I am a pretty great person. I wouldn’t mind a warm hug and a “it’s going to be okay” every once in a while also. I wonder what would happen if the thoughts that are continuously circulating around in our minds were spoken out loud. Wouldn’t you like to do that sometimes? For instance, instead of smiling and saying “sure no problem” when asked to do something that you would just rather not do, wouldn’t you like to be able to say “no.” With no explanation. Just plain No. Our interpersonal relationships would certainly be affected. I ordered Mr. Harris’ book from Amazon and just received it. I have only read the flap on the book jacket and am already 1% hopeful of being 10% happier. What is your inside voice telling you? I've got that little voice too, but I've also got that saying no thing down pat! I know my life would be different if I ignored that voice that doubts my abilities. I'd rather have a cheerleader! That’s what I’m trying to accomplish. I need to learn how to change the voice from a nagging one to a more nurturing one. My voice also likes to talk during the early a.m. hours! I think she's going through menopause! She talks of only worrisome things, never the good stuff. I'm sure she will be fretting tonight over whether I've packed everything I need for our trip, which starts tomorrow morning, very early. Oh no doubt she will be all over you about what you did or didn't put in your suitcase. The are all alike those voices! We all have those voices. I'm working on being kinder to myself. Part of that is taking the necessary actions to keep myself happy. For example, hanging around authors in writer forums is not always a good thing. Authors are a miserable lot, for the most part, and if you're a happy author you're out-of-the-ordinary. I try to take the necessary steps to keep me happy. All those inside voices! One of my nieces has been struggling recently with some things and talks often about her inside voices--while thinking about her, it occurred to me what a huge part of being grown up really comes down to knowing which voices in our heads to pay attention to and which to dismiss completely. Of course, recognizing that and actually following through with it are two different things. I have to remind myself that these so called “voices” are only thoughts and thoughts cannot hurt me. I am determined to follow through with the recommendations in the book. We’ll see how it goes.